Tweed suits continue to grow in popularity. Two new additions coming soon giving a total of five different colours to choose from. 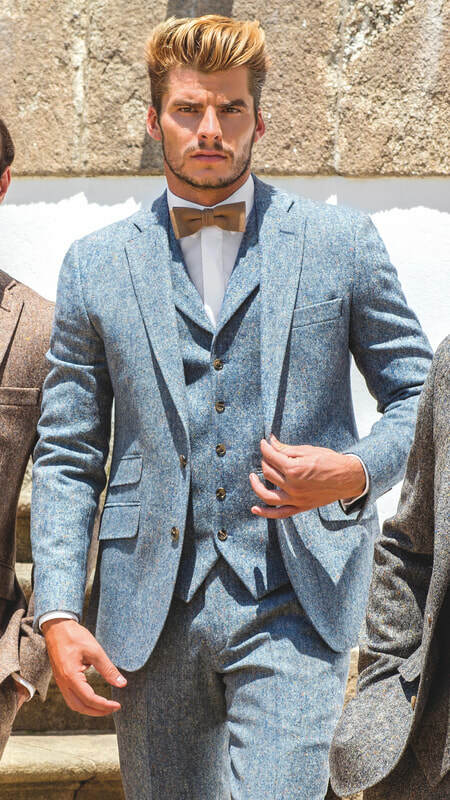 Tweed Suits in three fantastic colours brown, light blue and grey. 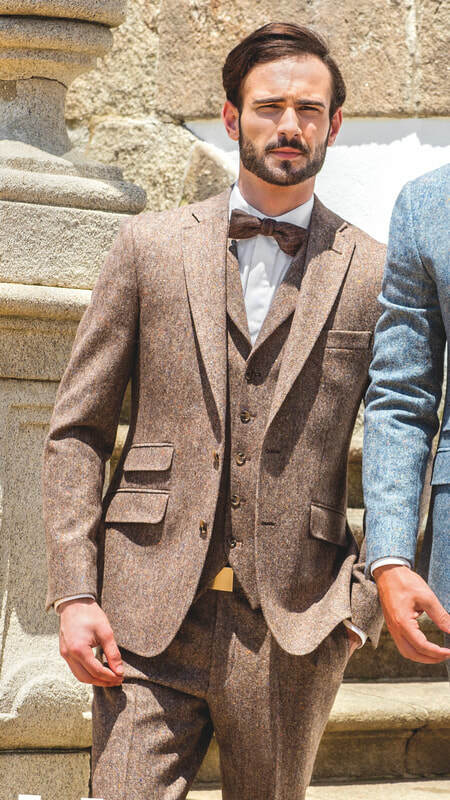 Donegal Tweed Suits available in Blue, Brown & Grey. NEW Luxury Slim/Tailored Fit 3 Piece Black Suit featuring lower cut waistcoat and tapered leg trousers. Available now. ​As with all our ranges this will be available in a comprehensive size range in men & boys sizes. 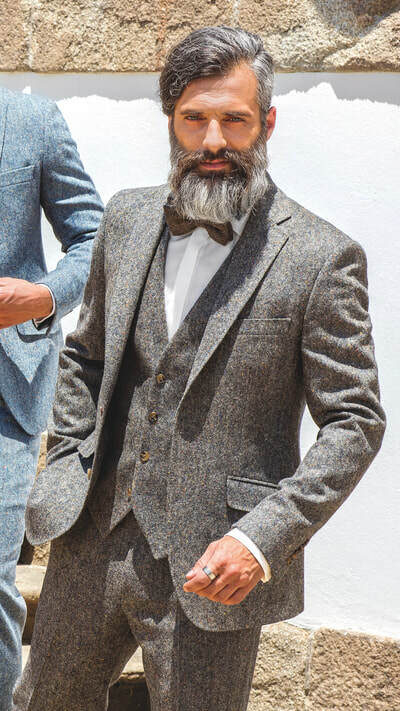 Model Rhys at Lowestoft's Transport Museum for a fashion shoot inspired from the television series 'Peaky Blinders' wearing our Brown Tweed Suit & Gatsby Cap. ​Photographs & photography produced by McMeekin Photography, London Road South, Lowestoft. NEW - Vintage Rose Ties. These look great with any of our suits when worn with either a tweed or matching waistcoat to the suit. They can be specified FREE with any of our wedding suit hire packages. Add a plain coloured pocket square to complete the look which is also included as a part of our wedding suit hire packages.